← Beyond Kony2012: A Free E-Book! In the game of hide-and-seek, having a limited and mutually agreed upon physical space in which both the hider and the seeker participate is essential. When a child plays hide-and-seek with their parents, they don’t move into the next house, run to the grocery store or take a bus to the next town. There is an agreement, implicit or explicit, about where the hider can hide and where the seeker can seek. Similarly, when authorities or armies – be they domestic or international – “hunt” for suspects, they surmise a particular territory where the suspect may be found. In complex cases, the area may be vast, complicating efforts to detain the wanted suspect but the complexity of the situation itself is taken into account. In short, while we wouldn’t expect a warlord or an international criminal to make it known where they are hiding, the actors “hunting” them down should have an idea of where they could be. As importantly, we wouldn’t expect them to ignore a potential hiding location they know could be used – especially if it has been used it before. Enter the hunt for Joseph Kony. Readers are likely aware by now that a group of four regional states, Uganda, South Sudan, the Central African Republic (CAR) and the Democratic Republic of Congo (DRC), are in the midst of an African Union sanctioned military operation to hunt down Kony and destroy the LRA. The United States is providing, as it has before, non-violent military and strategic advice and has 100 military “advisors” on the ground (see here and here). While not the direct result of the KONY2012 campaign, the military operation is clearly something the makers of KONY2012, and its supporters, support. However, it is important to note that the predisposition towards military solutions in northern Uganda is an old hat. As Patrick has shown in a chapter on the subject, this is only the latest military operation to crush the LRA. 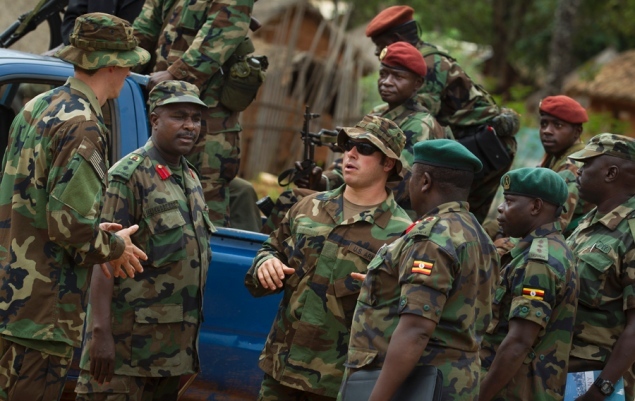 A key problem plaguing any chance for success is the simple fact that Kony and other key LRA leaders may not be in any of the places that the joint mission has access to. While it is suggested in media reports and statements that Kony is somewhere in the Central African Republic, as far as I can tell, no concrete evidence of this assertion has ever been provided. Interestingly, the BBC recently reported that the Government of Sudan was supporting the LRA. Apparently a detained LRA rebel was caught wearing a Sudanese military uniform, suggesting it had been provided by Khartoum. But this too is nothing new. While Sudan vehemently denies the allegations, it is an open secret that Khartoum has supported the LRA for years, supplying them with arms, uniforms and other resources. The LRA, in turn, has acted as a proxy force at the behest of the Sudanese government. During my research in northern Uganda, a former senior LRA rebel commander told me that he had once been instructed to destroy a radio tower in Gulu, northern Uganda. He was commanded to achieve two goals: one, to destroy the tower with newly acquired explosives and two, to retrieve all remnants of the provided bombs. They had been made and given to the LRA, he maintained, by the Government of Sudan. True, Sudan appears to have broken off relations with the LRA during the mid-2000s as international attention on the conflict was high and the ICC’s investigations were in full-tilt. But it should come as no surprise that Khartoum is again supporting the LRA. The ties run deep and, with a crisis looming between Sudan and South Sudan, the LRA may be, once again, perceived as a useful proxy for Khartoum. Again, this is nothing new. As I argued back in November, there was every reason to believe that, under military pressure, Kony would move into Darfur. During my research in northern Uganda in 2011, a number of former rebel commanders confirmed that Kony was already in Darfur. How did they know? They consistently gathered information from newly defected LRA rebels as they returned to northern Uganda. One would think that the Ugandan government would do the same! It is remarkable how slow key actors have been to understand the regional dynamics, movements and strategies of the LRA. Surely any serious attempt to capture or kill Joseph Kony would establish where he is likely to be hiding and seek access to those areas! But maybe they aren’t slow at all. Perhaps, as many commentators have suggested, the Government of Uganda doesn’t actually care much about whether the LRA is defeated and Kony is “stopped”. 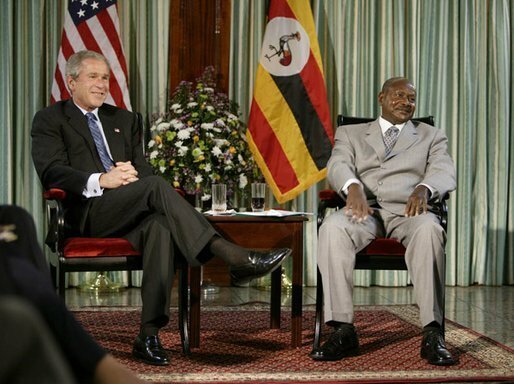 Uganda, after all, clearly benefits from the legitimacy bestowed upon them for fighting the “terrorist” LRA and, as importantly, from receiving US military aid. This entry was posted in African Union (AU), Central African Republic (CAR), Chad, Democratic Republic of Congo, South Sudan, Sudan, Uganda, United States and tagged KONY2012. Bookmark the permalink.